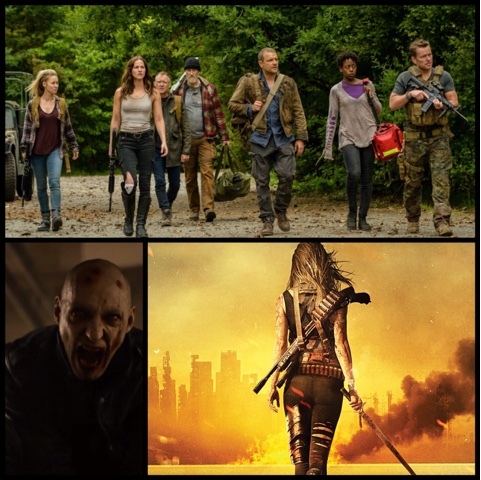 What is your favourite Vampire show at the moment, with the TV saturation with Zombies in The Walking Dead, Fear The Walking Dead, and Z Nation isn't it great to see an alternative in the form of Vampires. I will delve into both shows, and decide which one I prefer. Starting first it is Van Helsing, after the crappy film in 2004 starring Hugh Jackman, the franchise has been rebooted, this time as a 13 episode run, starring this time a woman in the main role, her name is Vanessa, hence the word Van, and is the granddaughter of the great Van Helsing. In the opening episode we find a hospital, being guarded by one solitary marine, guarding this comatosed body of this woman, lifeless for three years. We find out after a Volcanic eruption at Yellowstone Park has covered most of the world in darkness and volcanic ash, leaving the world to be taken over by the oldest race there is and that is Vampires, using the darkness as cover to create the "rising"as it is called, and to destroy the human race, and feed on them, wanting to be the dominant race on earth. It turns out though before the rising, the vampire race were aware of a person who's blood could turn vampires human again. when Vanessa is attacked in her own home,and killed in a vampire attack, her body does not die, some how regenerates and becomes resistant to vampire attacks and maybe the cure to stop other vampires, the reason she is being guarded by this marine. Cut to three years later, and a vampire attack on this hospital, Vanessa is attacked once more by a vampire, this time awakening after her coma, and becomes a one woman destroyer of vampires, indestructible, cannot die, with her blood mixed with vampire, she has all the abilities of a vampire, but remaining human, determined to locate her daughter, whilst searching the desolate apocalyptic wasteland, with a bunch of survivors, and of course killing and slaying vampires. 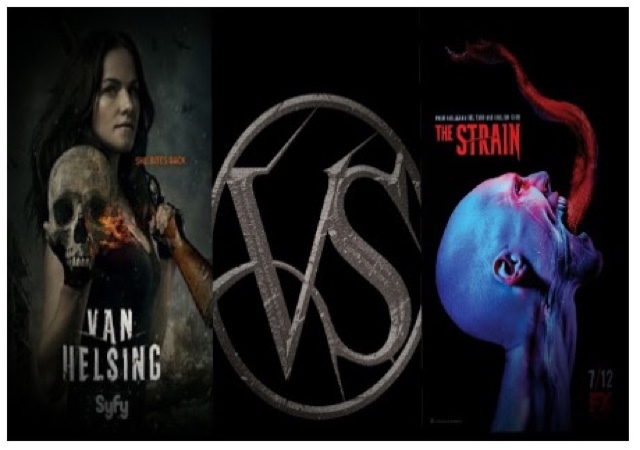 Starring Kelly Overton as Vanessa (Van) Helsing, series created by Neil Labute, who did direct the very good Nurse Betty, but also directed the worst remake in celluloid history The Wicker Man " the bees, not the bees!!" Anyone! !, so not much was expected of this series, and you know I was completely bored by episode 2, and the series never held my attention span after that. Lets just say it's an okay series, nothing more, and I'll be surprised if a second season is commissioned, with the only thing going for it, and that is decent scary Vampires, looking like the ones you saw from the very excellent 30 Days Of Night. You can see by the picture below does it remind you of the Walking Dead, or is that just me?